With the results of the Baccalaureat 2014 out on Friday 4th July in France, the anticipation of students is rising. Will this year beat the success record of 2013 with a 86.8% success rate? How many 'merit', 'good' and 'very good' distinctions will be awarded? What cannot be denied is that this year has had unprecedented involvement by the social media platforms. From online petitions complaining about the maths test being too difficult, to the constant twitter feed insulting those who chose the exam questions, this year social media was far more present and has strengthened the debate on the need to reform the exam established in 1808 by Napoleon. 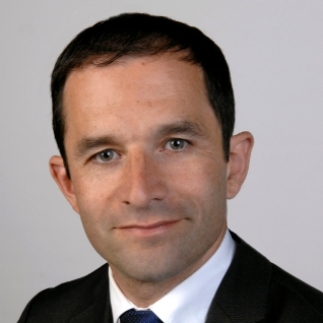 The petition, which began circulating on the 22nd June, was signed by approximately 40,000 students asking the Minister of Education, Benoit Hamon, to reconsider the grading boundaries due to the excessive difficulty of the maths exam. Constant debriefing of the exam subjects were discussed on various social media platforms, putting ‘#bac’ in Twitter’s most popular trending list for the whole week. Another memorable moment happened after the French test, where one of the questions referred to the poem 'Crepuscule' by the famous Victor Hugo. 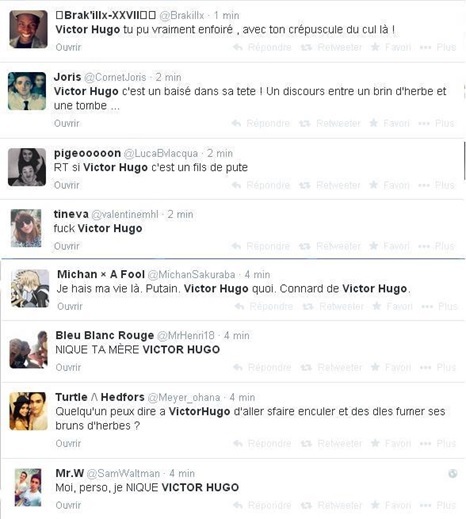 Comments of hatred and vehemence were directed towards him such as “F**k Victor Hugo”, and even in some cases, although 129 years late, death threats. The exam board responded to the discontent by stating that all the questions and topics covered in the exam were part of the syllabus and were a requisite for obtaining the precious diploma. Therefore there will be no change in grade boundaries. There was also the issue of a possible leak for the first exam (Philosophy), where some of the questions had been put on Twitter at 8am for the Scientific pathway, even though some students were still expected to enter the exam at 9:30 due to the risk of some arriving late as a consequence of the strikes. However, this was considered of no great importance and the exam will not be taken again by the students. Over the years, as the percentage of students obtaining the diploma increased, so did the critics. Many people have questioned whether the Bac was truly a suitable exam to evaluate the participants. With the high level of acceptance, it began to be a widespread idea that the Bac was no longer at the same standard as it used to be, and that it was just given to students to cover up the fact that the level of the French education system has declined dramatically. Indeed, the days are long gone when the French education system was internationally prestigious, one which people would turn to and take example. Nowadays France is classed 18th from the Programme for International Student Assessment (PISA) ranking, which is a worldwide study by the Organisation for Economic Co-operation and Development (OECD) in member and non-member nations to evaluate 15-year-old school pupils' scholastic performance on mathematics, science, and reading. Furthermore, the top universities in France only place 90th in the QMS world ranking. So would it be fair to say the French education system, or in particular the Bac, is in crisis and needs reforming? Is it really that bad? Ultimately the possibilities which have been brought up have been the introduction of the International Baccalaureate or the increased difficulty of the exam. However, it is highly doubtful that anything will change with the current Minister Hamon, who defends the Bac and supports the high level of those getting it because in his opinion that it keeps students equal. However, this frame of mind is completely devaluating the Bac, and further complicating the transition of over graded students to university standard. Although the solution is still debated, there is a general consensus that sooner or later the Bac will have to be reformed in some way, otherwise as a nation France might fall further back in international rankings, and lose the most gifted students who will prefer to go abroad.